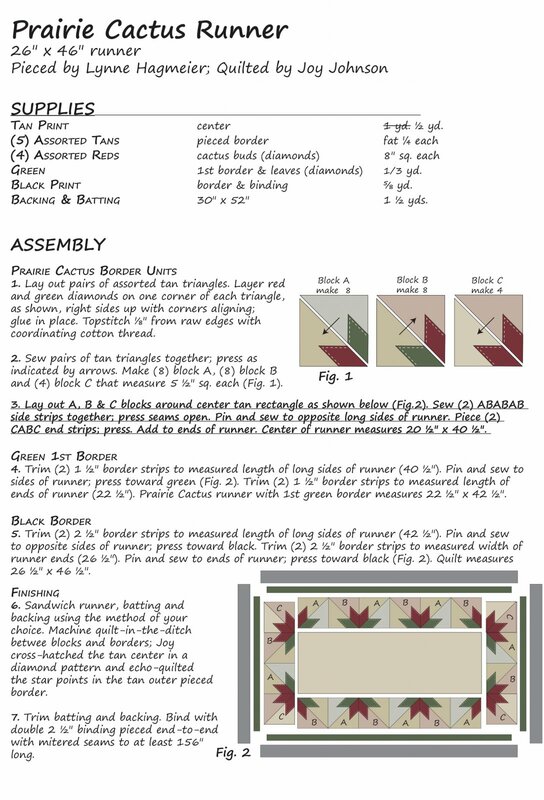 Over the years I’ve taught many classes to quilters who are frustrated with imperfect points, lumpy seams or blocks that don’t finish the correct measurement. With the evolution of pinked edges on Moda’s precuts, I started to play with the idea of layering a small square over a larger square, topstitching it in place, then cutting and piecing to make a simplified traditional block. By eliminating possible mistakes in multiple seams and pressing, a layered block that lays flatter and finishes the correct size is easy to accomplish. For example, a classic Ohio Star block traditionally uses 1 large triangle and 2 smaller triangles pieced together to create each star point unit. Sewing two bias edges together and pressing often creates a less than perfect unit. 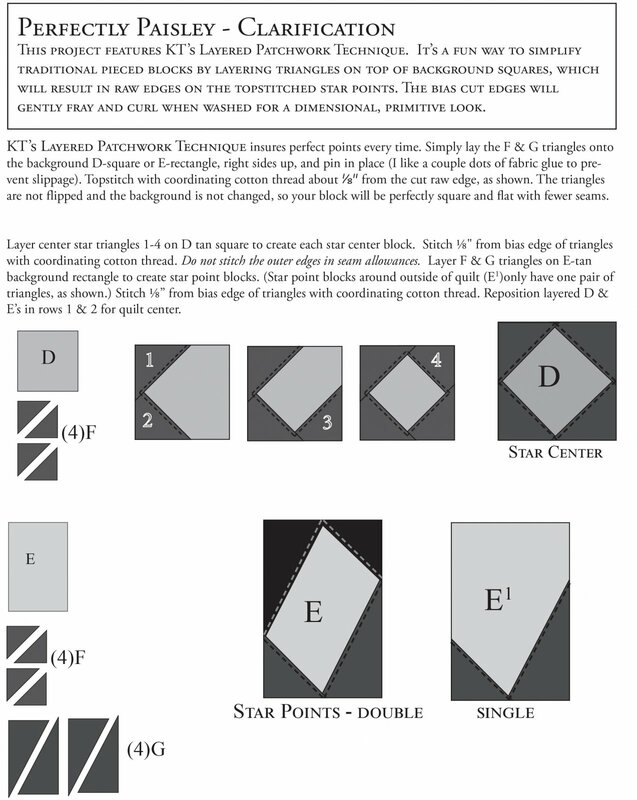 By starting with a rectangle as the background (A), then layering and topstitching 2 triangles on top (B), you’ve eliminated diagonal seams & pressing that often distorts the desired rectangular star point unit (see below). For this block, simply lay the B-triangles onto the background A-rectangle, right sides up aligning 90˚ corners. Pin or glue triangle in place (I like a couple dots of good quality fabric glue to prevent slippage). Topstitch with coordinating cotton thread about ⅛” from the cut raw edge, as shown by dotted line. The triangles are not flipped and the background rectangle has not been changed, so your block will be more perfectly square and flat with fewer seams. Basically, we’re embellishing our background rectangle with triangles on top. Our layered patchwork method insures perfect star points every time! 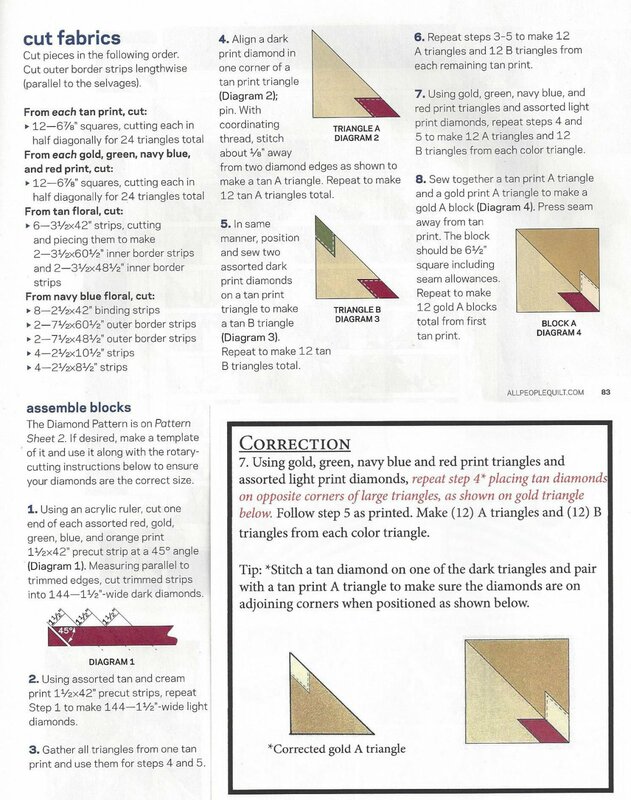 ∞ Use precut pinked or bias edges for the exposed raw edges. If you don’t have the precut needed, use a pinked rotary cutter for squares and straight grain edges. This eliminates raveling, adds softness and dimension when the quilt is washed and and adds to the primitive feeling I love. Background squares that are enclosed in seam allowances do not need to be pinked. order to layer and stitch them. A dotted line indicates the topstitching on the layered unit (triangle). The layered unit is laid on top of the background with right sides up. There is no turning, flipping or pressing. 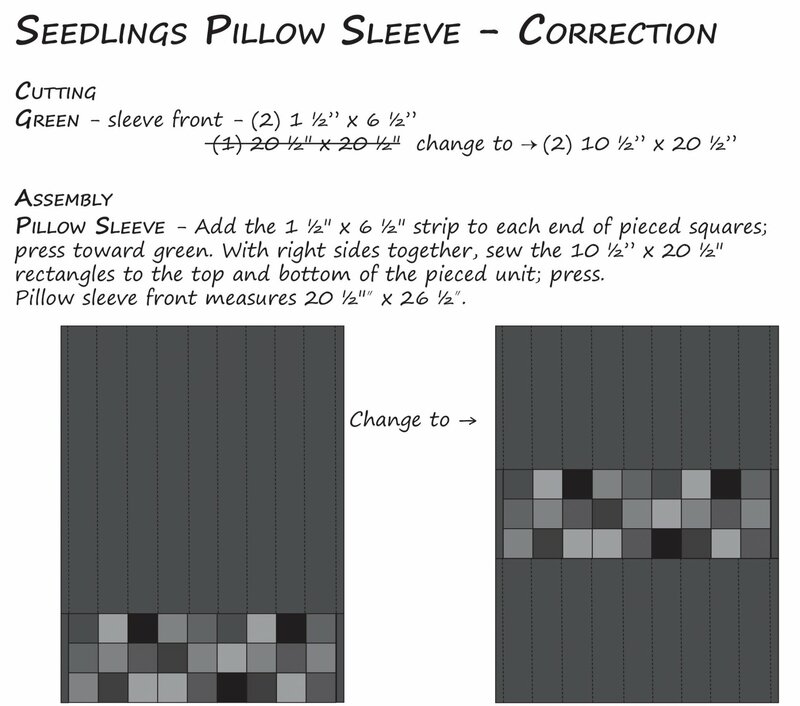 ∞ Select a good quality cotton thread in a coordinating color for your top stitching. Aurifil green/gray #5013 is my go-to color that blends with all of my darks and tans so I don’t need to change thread color in the middle of a project. Use a standard size #70 needle and your usual stitch length (2.5) for top stitching. ∞ I do not trim the background when layering 2 pieces of fabric. The background provides the perfect base unit to piece to other units in your block. With this technique, there are fewer seams over all and less bulk, so it is not necessary. However, if there are 3 layers that all come together in the center of a block, I trim one of the layers for less bulk. Try our unique Layered Patchwork Method and enjoy stress free star points and more perfect blocks!